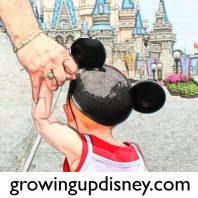 Growing Up Disney: The Magic, The Memories and You! Good Sunday Morning! I hope everyone is having wonderful weather and spending time with family today. Thanks for stopping by and spending a moment with Growing Up Disney. I have a special treat to share this morning. Video of the new nighttime laser light projection show at the Magic Kingdom: The Magic, The Memories and You! enjoy the video. It is available in HD so don't forget to change your viewing quality.